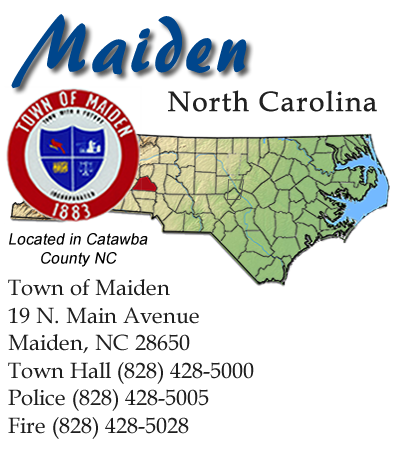 It is the mission of the Town of Maiden Parks and Recreation Department to create recreational opportunities for growth and enhancement by developing services and programs that promote citizen involvement and a strong sense of community while striving to increase the social, cultural, and physical well-being of its residents and visitors. This program provides the Senior Citizens of the community with a facility to gather and fellowship. The program is run through the Social Services Department of Catawba County. Seniors enjoy crafts, programs, trips, educational lectures as well as lunch daily. This program is open to all Senior Citizens in the area. Classes are offered to the public for both male and female from ages four years old to Senior Citizens. The classes are taught by certified instructors in Japanese and American Karate. The program offers free demonstrations, physical fitness, self control and meditation for men, women and children. For more information call (828) 215-0775. Zumba Classes- Zumba classes are offered at the Maiden Recreation Center year round. During fall and winter months the classes are conducted on Mondays and Wednesdays starting at 6:30pm. Classes are conducted on Mondays and Thursdays starting at 6:30pm. Certified Zumba Instructors are Angela Sigmon and Julie Carroll. For more information call (828) 428-5022. The Maiden Parks & Recreation Center facilities include a gym, banquet room with a fully equipped kitchen, and two classrooms. 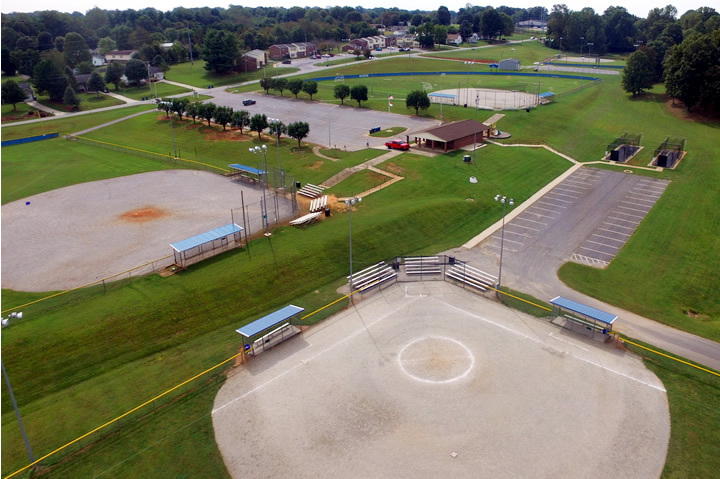 Also on the premises is a softball complex (four fields and two batting cages) along with Maiden Municipal Park. The park features playground equipment along with a picnic shelter. 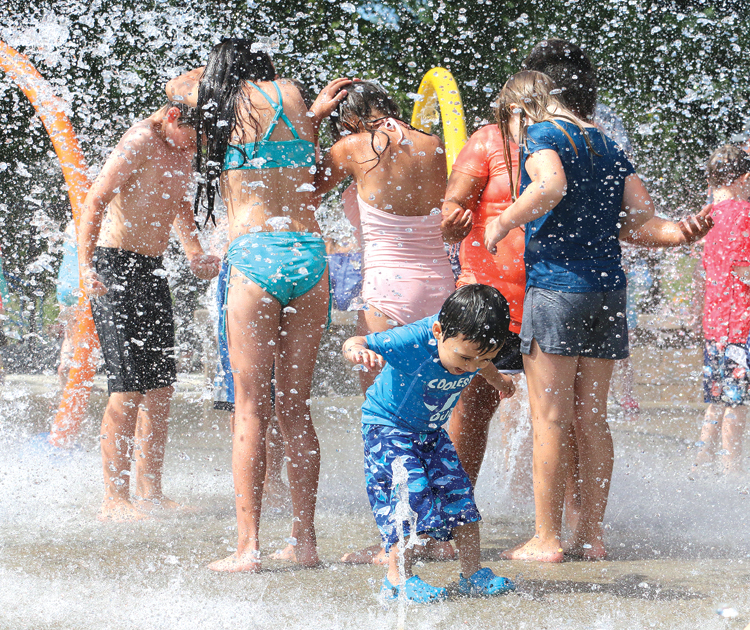 And new for summer 2018, a Splash Pad. A walking trail is also available on the property. 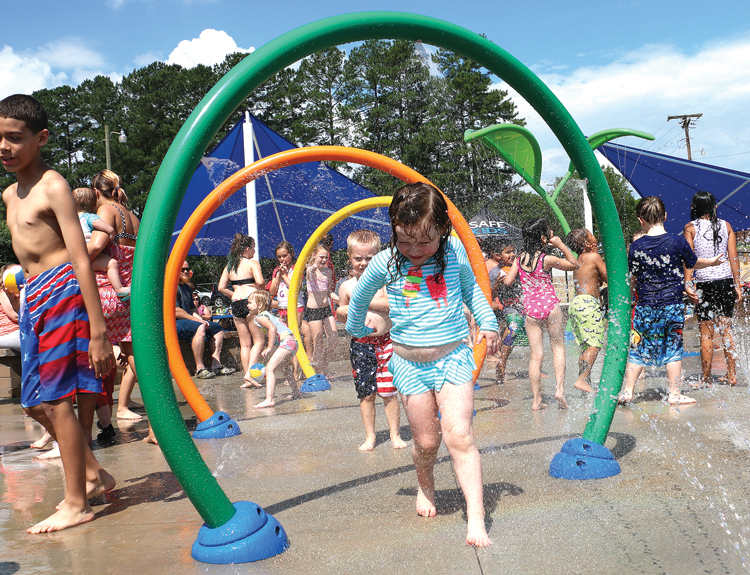 Two other small parks in town are Union Street Park with playground equipment, and Rosenwald Park, with playground equipment and a picnic shelter, that is available for community use. Our picnic shelter is available for use to all of our citizens at no charge on a first come, first serve basis. However, if you would like to reserve the shelter you may do so by going by Town Hall and leaving a $40.00 deposit. Once the rental is complete and the trash is picked up, your deposit will be returned to you by mail. For information contact the Recreation Department at (828) 428-5022. Reservations must be made at Town Hall at least one week in advance! The Maiden Christmas Parade is held the Saturday after Thanksgiving each year. The parade is open to any group, organization or individual who desires to participate. There is no charge to make any entry into the parade. Commercial floats are also available for renting. Each commercial float will hold up to fifteen participants. The Luminary Service will be held on the 2nd Sunday of December. During this time luminary bags displaying the names of loved ones that have passed are placed throughout the cemetery. You may submit any name free of charge during the months of November and December. For more information contact the Recreation Department at (828) 428-5022. The following forms are available for download for the 2017 Fall Festival. This program is offered to boys and girls. Tee ball is for boys and girls ages 5 and 6. Machine pitch baseball and softball is available for boys and girls ages 7 and 8. Baseball and softball are for boys and girls ages 9 through 15. All boys divisions are based on the age of each participant as of April 30th of each year and all girls divisions are based on the age of each participant as of December 31st of each year. A fee is required for each child to participate. Youth Baseball, Softball, and Tee ball registration will take place from January 15th- February 15th. This program is offered to boys ages 7 - 8 for the peewee division ages 9 - 10 for the Junior Varsity division and ages 11 - 12 for the Varsity division. All divisions are based on the age of each participant as of October 15th of each year. (players must be at least 7) Players age out if they are 13 before August 31st. A fee is required for each child to participate. 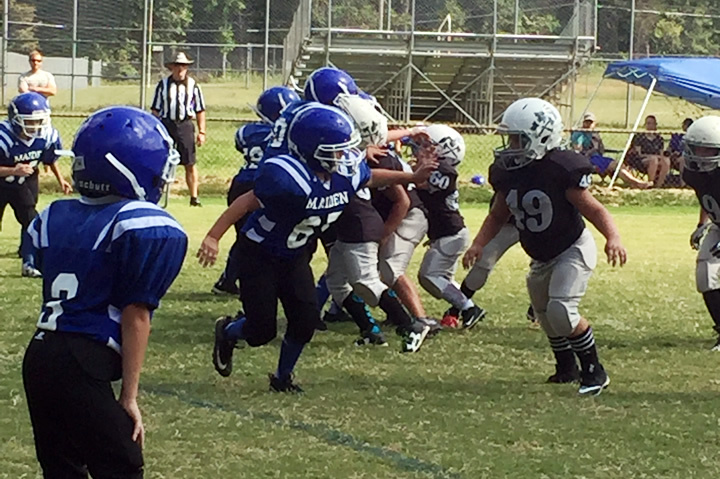 Youth Football registration will take place from June 15th – July 15th. This program is offered to boys and girls ages 3 through 12. 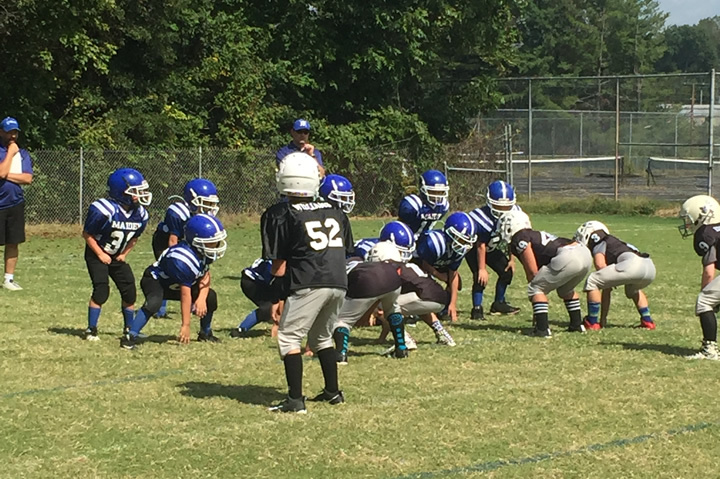 Divisions are 3-5 year olds, 6-7 year olds, 8-9 year olds and 10-12 year olds. All divisions are based on the age of each participant as of July 31st of each year. A fee is required for each child to participate. 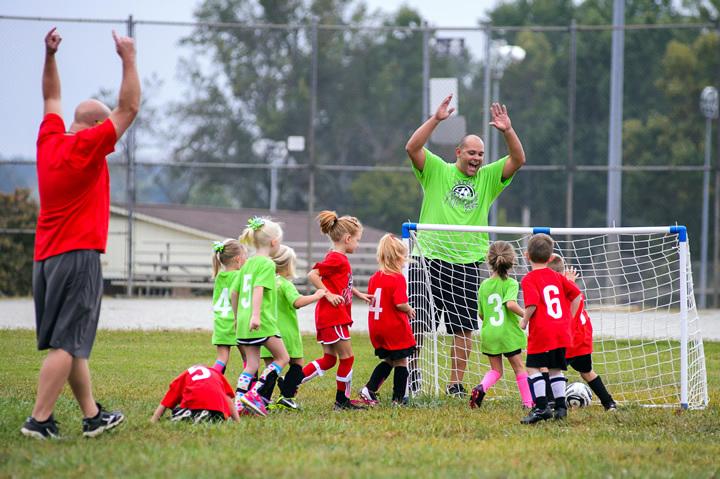 Youth Soccer registration will take place from June 15th – July 15th. This program is offered to girls in grades 3 through 8. The league is divided into two divisions. Junior Varsity is for girls in grades 3 through 5 and Varsity is for girls in grades 6 through 8. A fee is required for each child to participate. Youth Volleyball registration will take place from June 15th – July 15th. A fee is required for each child to participate. Youth Basketball registration will take place from September 15th - October 15th. This program is offered to area churches. The season runs from June to August each year. An organizational meeting is held each year in the month of April for churches that are interested. The league is open to any area church provided that space is available. A fee is required for each group to participate. For more information contact the Recreation Department at (828) 428-5022. This program is offered to area churches. Kickball is a Co-ed sport that brings the kid out in adults while offering exercise, competition, and community fellowship. 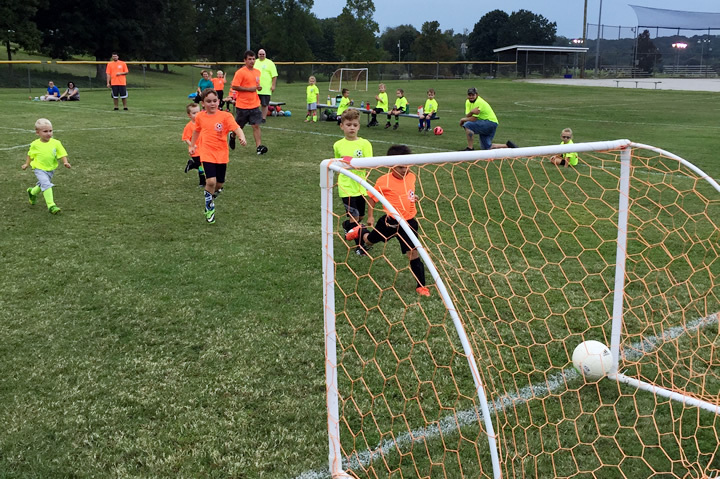 The season runs from August to October, single elimination tournament following the regular season. For more information contact the Recreation Department at (828) 428-5022. This program is offered to area churches. The season runs from March to May each year. An organizational meeting is held each year in the month of February for churches that are interested. The league is open to any area church provided that space is available. This program is offered to area churches. The season runs from January to March each year. An organizational meeting is held each year in the month of November for churches that are interested. The league is open to any area church provided that space is available. Batting cages are available for use to all of our citizens at no charge on a first come, first serve basis. However, during season play teams will be assigned cage times (April – June). If people are in line to use the cages, use is limited to 30 minutes.